Take me to another dimension Jordan Peele! 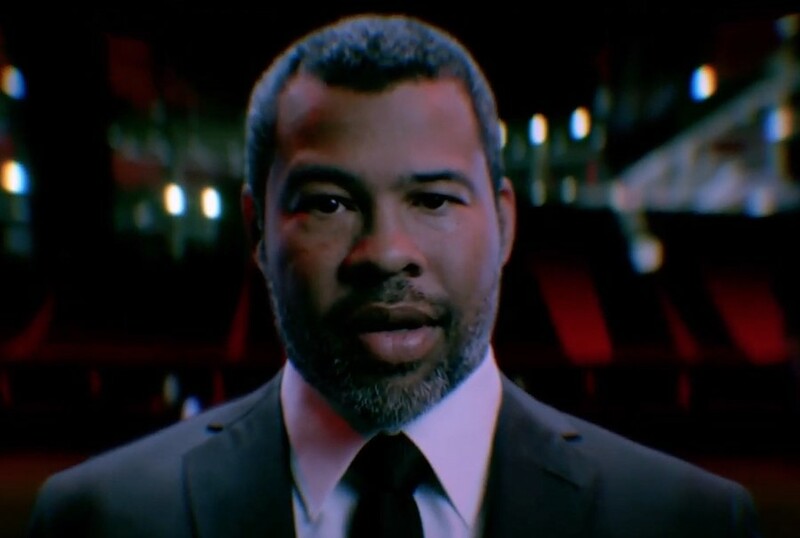 During the Super Bowl, the brilliant mind behind Get Out and the upcoming horror Us, previewed his reboot of The Twilight Zone. The trailer was crafted to look like a glitch in the transmission as the crowd disappears from the stadium and the camera pans around the empty football field of Atlanta’s Mercedes Benz Stadium. Peele, “a man both nowhere and everywhere”, talks in riddles about how answers are questions and the “unexpected” is entirely expected. In a strange twist, there is a door in the middle of the field, and when he walks through it he doesn’t appear out the other side. Wild. While that is some high octane weirdness, we’re hoping the actual series aims a little higher in terms of shock factor. Not much is known about the horror anthology series as of yet as the ad is sufficiently mysterious. However, the show is confirmed to air on CBS All Access from April 1. Despite cutting his teeth in TV comedy, it seems Peele is ready to usher in a new era for black horror – and socially conscious horror more generally. It’s been a while since the original series by Rod Sterling was on air having been revived several times between the 50s and 00s. Charlie Brooker has really plugged the allegorical horror anthology gap with the Black Mirror series so it would be interesting to see how the two compare. For more Peele, keep your eyes peeled for new previews of Us which will be dropping in cinemas later this year. Watch the trailer below.